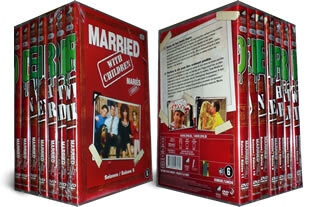 Married With Children DVD set series 5 to 11, making up the remainder of the complete series ever made. 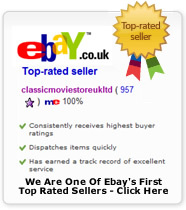 (If you are looking for series 1-4 click here) Containing the complete series 5 to 11 on 22 DVD's. DELIVERED FREE IN THE UK. When bought in conjunction with our 1-4 set this makes all the series ever made. Please note these are a European release in region which will play in the UK but have German writing on the covers, see below. Please note this is 7 individual dvd sets. These are European release dvds which play in English on UK machines as the video was shot. They come with German writing on the covers but come with full English instructions and a no quibble money back satisfaction guarantee. If you are not 100% happy you can return them for a full refund, please only open one set. An American series, following the lives of the Bundy family. Patriarch Al (Ed O'Neill) is a former high school football star who fallen to selling women's shoes. The rest of his family are a crazy bunch too!